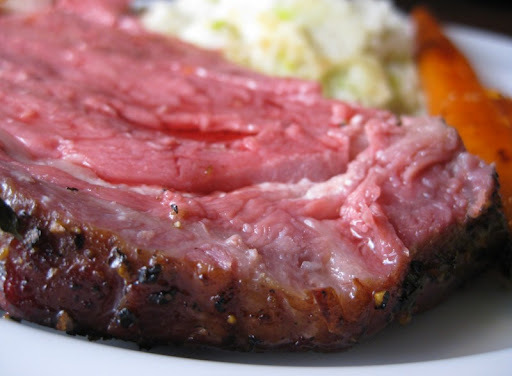 The idea of a smoked Prime Rib has me salivating....slurp! Hi Peter - the smoking definitely added a whole extra dimension of flavor. Have you posted your salmon curing method before? Coincidentally I was thinking of making some and have been looking at recipes - yours sounds really good! Just discovered your blog and am really enjoying it! Hi Alice - glad you are liking the blog! We haven't done a cured salmon post yet, but we plan to soon (along with info on cold and hot smoking). That looks fantastic! I just discovered your blog, it is great. I like the idea of smoking the prime rib, and the smoked meatloaf, wow! And I love the charcuterie ideas - thanks for the tip on So Cal pork belly, the Japanese market only has it sliced so I will try the 99 Ranch soon. Hi Erika - our local Korean market also just has pork belly in strips. It probably have to do with the way it is typically prepared. Ranch 99 (at least the one by us) definitely has nice big sections of belly.